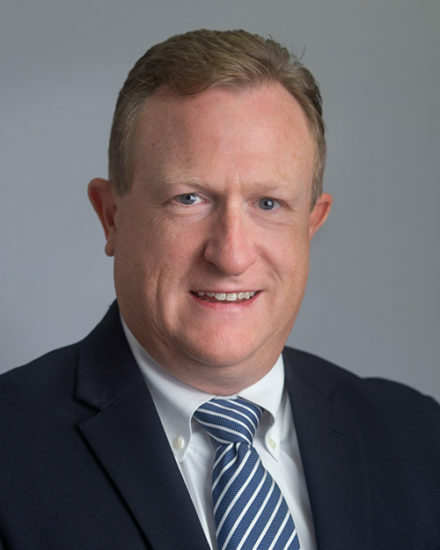 William “Bill” Carr is an experienced trial attorney who represents individuals in personal injury, medical malpractice and commercial litigation. He has dedicated his career to helping individuals navigate some of the toughest challenges they face in life whether those obstacles emerge from an injury, illness or incident that occurs in their business or professional life. Recognized by the Kansas City Business Journal as among the “Best of the Bar,” Bill has successfully tried personal injury cases in state and federal courts in Missouri, Kansas, Nebraska and New York. A recipient of the Thomas J. Conway Award by the Kansas City Metropolitan Bar Association, he has been honored by his peers for demonstrating superior skill in the courtroom while still maintaining respectful relationships with opposing counsel. Bill’s experience ranges from representing employees who have lost their life savings due to employer negligence to individuals who have suffered personal injuries due to tragedies involving trucking and auto accidents, as well as medical malpractice. Bill has a wide-range of litigation experience and understands that each case that comes across his desk is unique. He enjoys the complexity and challenge of litigation as much as he enjoys the reward of helping clients through a dispute or claim. This combination has resulted in Bill being repeatedly recognized by Super Lawyers as well as attaining the highest peer review rating by Martindale-Hubbell. Bill is one of the firm’s lead trial lawyers. When he is not working, Bill is dedicated to serving his community, especially mentoring children. He coaches youth basketball and regularly volunteers with the youth group at his church. In 2010, Bill and his family adopted a child from Ethiopia. Since then, he has been involved with ministries working with children in Ecuador, Peru, the United States, as well as other locations around the world. He has devoted hundreds of hours to the volunteer attorney project through the Court Appointed Special Advocate (CASA) program in Jackson County, which is dedicated to helping neglected children as they navigate the judicial system. He was named the CASA Volunteer Attorney of the Year in his first year with the program in 1993. Bill received his J.D. from the University of Missouri at Kansas City in 1992, where he received a National Trial Competition Award and was part of the National Trial Team, the National Moot Court Team and the Order of the Barristers. He graduated with a B.A. in Biology from William Jewell College in 1989.